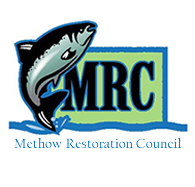 The Yakama Nation Fisheries is conducting a river recreation and safety assessment on the Methow River between the towns of Twisp and Carlton during 2018. The goal of this study is to evaluate river use to inform the design and location of potential fish habitat restoration projects. The study design includes an on-water assessment of recreational hazards, in-person interviews with river users, motion activated cameras, and an online survey. The online survey is designed to gauge boaters’ skill, the amount of river use, and perceptions of current river hazards. River users with experience on the Methow River between Twisp and Carlton are encouraged to complete the online survey. Calendar - Follow the fish!